As Noynoy Aquino ends his 6-year term on June 30, 2016, there will be challenges and unfinished business left. The economic gains these past years have not brought prosperity to the everyday Filipino and many are still mired in poverty. The gains in the economy have not trickled down to the Juan and Juana de la Cruz of the country, who see no improvement in their lives. The rich have become richer but the poor have become stagnant or even poorer perhaps. One of the challenges that the incoming president will have is to address poverty and income inequality in the country. These will take a toll on the social fabric of the country and place a heavy economic cost on future growth. And the economic gains these past years will have been for naught. The task at hand for the Filipino voter is very daunting and pivotal this coming May 9, 2016: to choose the next president who will continue the Aquino Administration’s daang matuwid and its vigorous anti-corruption crusade, foster and sustain the achievements and economic gains the past six years, and lead the campaign to eliminate poverty and reduce income inequality, i.e., improve the lives of Juan and Juana de la Cruz. What Will Stop Us From Achieving Our Potential? People and scholars may disagree on the relationship between corruption and economic growth. But it just makes sense that corruption undermines long-term economic growth by extracting the country’s wealth for personal gain, by weakening the private sector, and by discouraging foreign investment in the country. Between 2000 and 2002, under Estrada’s administration, the annual growth rate was a measly 3.8% and GDP only increased from USD 76.3 Billion to USD 81.4 Billion . Presidential candidate Jejomar Binay has been accused of enriching himself and his family while in public office and is facing corruption charges. Can we trust him to be our next president? Rodrigo Duterte, with his public persona of a no-nonsense killer and strongman, bereft of morals and ethics, is another Ferdinand Marcos-in-the-making – even worse. Can you trust him to be our next president? There was once a chapter in Philippine political history where show business personalities were elected to various high elective offices. We even had Joseph Estrada as our president. The Filipino has always loved movie stars and popular personalities and, because of their popularity, we have elected them to various high positions in the government. Although a number of actors and actresses have been good stewards of the office they were elected to, we have had a number of scoundrels and scalawags and they have faced corruption charges and have been imprisoned. Our experiment with show business personalities as elected official has failed and we have learned our lesson the hard way. There will be show business personalities in politics but their star won’t shine as brightly as before. And now, we have Grace Poe running for president. She is riding on the coattails of her famous movie-star father, hoping to ride on his popularity as well as on sympathy for her father having being “robbed” of the Philippine presidency by Gloria Arroyo. She also was once carried dual American-Filipino citizenship – let’s question her loyalty. And she has had no significant public office experience. Talk about opportunism. Can we trust her to be our next president? Who will continue the Aquino Administration’s daang matuwid and its vigorous anti-corruption crusade, foster and sustain the achievements and economic gains the past six years, and lead the campaign to eliminate poverty and reduce income inequality, i.e., improve the lives of Juan and Juana de la Cruz? The answer is Mar Roxas. Mar is an experienced, honest, and exceptional leader. He has been with PNoy Aquino in the daang matuwid journey and the results speak for themselves. No blemish, hint of blemish, or promise of blemish in his political record. No corruption, no strongman tendencies, no opportunism. Mar should lead the country for the next 6 years, starting July 1, 2016. Why is Mar Losing the Election in the Polls? And May Lose the Elections? The latest polls show that Mar is trailing badly in the race for the presidency. In spite of all his achievements and qualifications (which I discussed above), he has not won the hearts and votes of the Filipino people. The polls may be wrong and we may be surprised. But, let’s not take the chance. What do the voters see in Mar? In my humble opinion, they see him as one of the elite. He is part of the political and economic elite that has too much control of the country’s resources. The elite control large chunks of the economy and members of the families are consistently on the annual top wealth list. Their business interests range from utilities to property development to banking, telecommunications and the booming business process outsourcing industry. The elite can easily afford to have a roof on their heads, feed their family, and be immune from deteriorating peace and order. Mar’s opponent, Duterte, has addressed these issues head-on and he has gained public support. 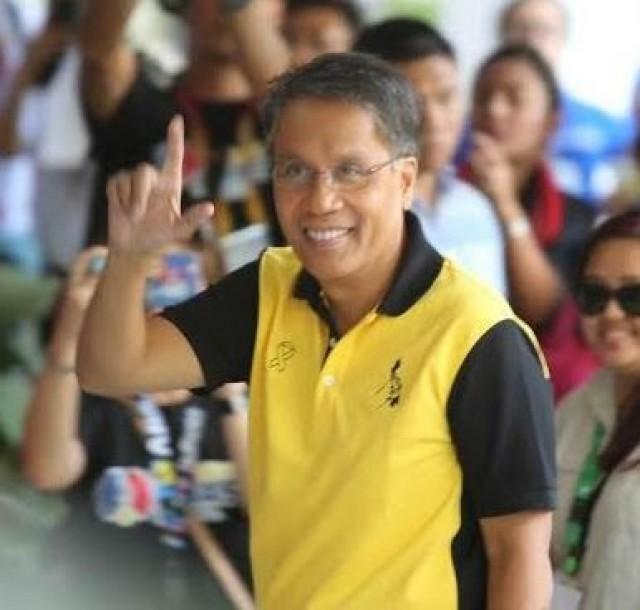 Mar, if he is to be the next president, should address and offer solutions to helping alleviate poverty and bring back peace and order to the country. Champion “inclusive growth” (I wish I could find a Tagalog translation or catch phrase for this, similar to daang matuwid) — Inclusive Growth is economic growth that creates opportunity for all segments of the population and distributes the dividends of increased prosperity, both in monetary and non-monetary terms, fairly across society. If Mar can start by sending the message above and convincing the people that he can accomplish the above, not in a timid manner, then we’ve got a good chance to have a great president for the next six years. And we, as supporters of Mar, can spread the word and I can tell the future generation of Filipinos that we made the right choice.